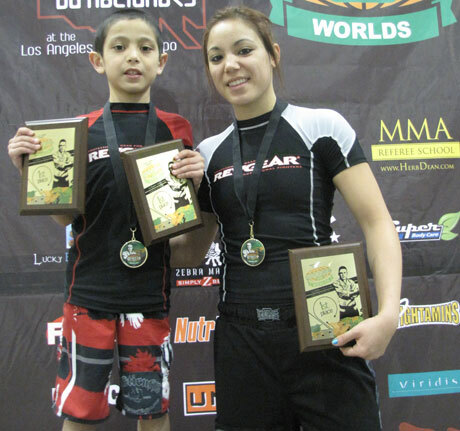 Dominic and Kyra Batara from Vancouver, Washington, competed at the Gracie Kids World Championships which took place end of January during LA Fitness Expo. Dom placed first in Gi and No-Gi in the 49 lbs and under Intermediate bracket. Dom didn’t lose a single point all weekend while submitting all of his opponents. 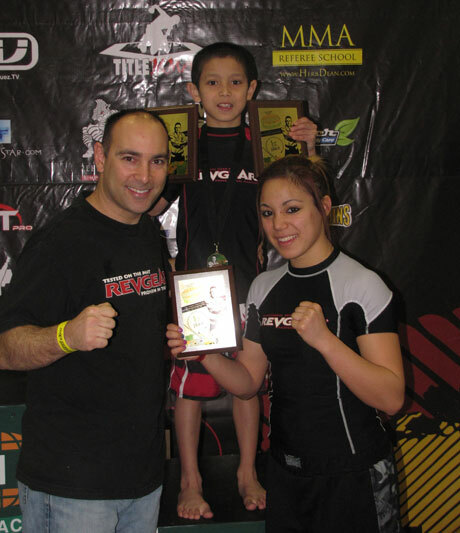 Kyra also did well by securing 1st place in No-Gi and 3rd place in Gi 110 lb Intermediate brackets. Dom and Kyra were especially grateful that Paul Reavlin, Revgear’s president with his family made it out to the Fit Expo and saw the Bataras in action.